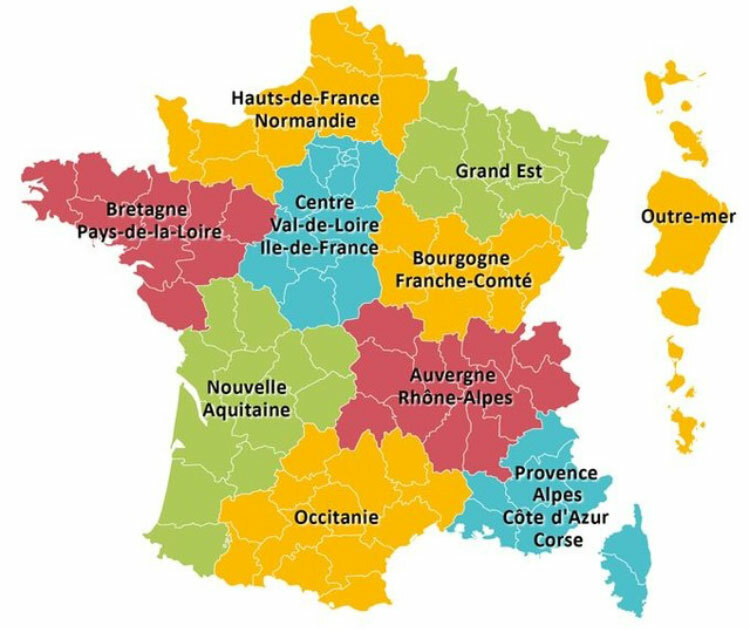 Do you know the new “Regions” of France? 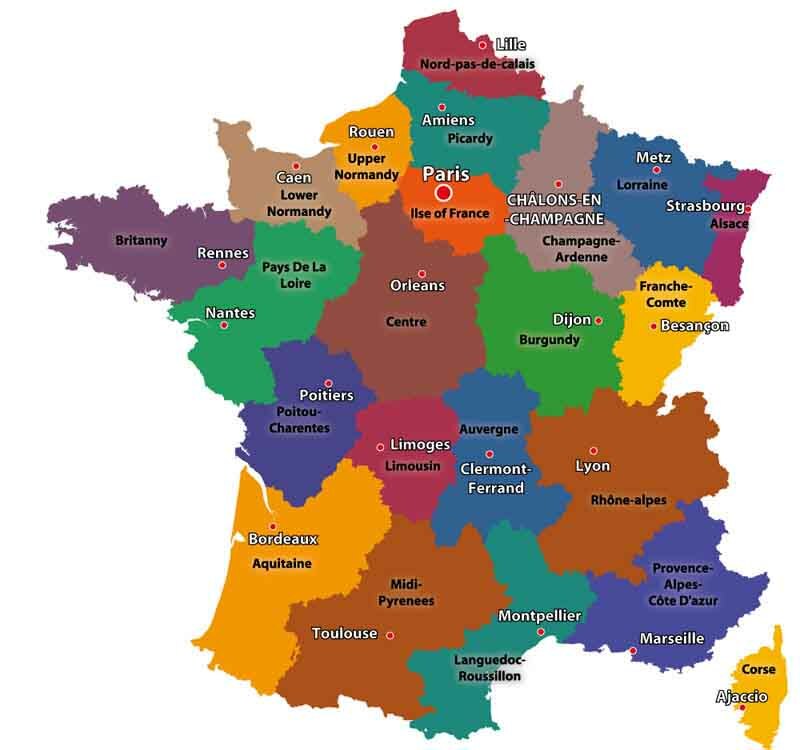 Although the map of France changed in 2016, many are still unfamiliar with the new “super” Regions and their names which have, in some parts, caused a heated debate. Administratively, France is divided into Regions (which hold major administrative and some devolved power as well as economic responsibility); the Regions and subdivided into 101 Départments which have maintained their names, however much of their power has now either been devolved to “Communes” within the Départment or into new “Métropoles” (in effect super-cities). This is how the French regional map looked, prior to the merge of Regions; names like Midi-Pyrénées, Languedoc-Roussillon and the Alsace being very familiar. In total, the map of France had 22 regions – each with a distinct identify, culture, cuisine, geography & architecture. From 2016, after 25 years of political discussion, the 22 Regions became just 13 and this is how the map of France looks today. Prior to 2016, the Tarn was one of 8 Départments in the Region of the Midi-Pyrénées – with the changes, Midi-Pyrénées merged with its neighbour Languedoc-Roussillon to form the new “Occitanie” Region of 13 Départments with a total population of 5.6 million. Concurrently, Toulouse became the new “Métropole” for the Region with sweeping new administrative & economic powers. Personally, I think that the majority of French people probably still identify with the old Regional names – can you imagine a wine grower in the Languedoc now considering his wines to be of Occitanie origin; or residents of Strasbourg with the heritage of being Alsatian now being referred to as a “Grand Eastern”! As with all change, it takes time to adjust – but we are reminded daily just how long that takes when we do our shopping and the till receipt still shows the equivalent value in Francs which disappeared 16 years ago. A little factoid – the Départments were created during Napoleonic times and each of the 101 administrative capitals, like Albi, where set at a distance of one day’s horse ride apart!